I used a base card in blue from Die Cuts with a View Jewel cards. I then layered with blue gingham from Creative Imaginations Signature Collection “Gingham” 6×6 collection and a blue floral print from Simple Stories “Summer Fresh” 6×6 collection. The Tiddly Ink’s Digital image was printed on Xpress It blending card using a laser printer then colored with various Copic Markers. 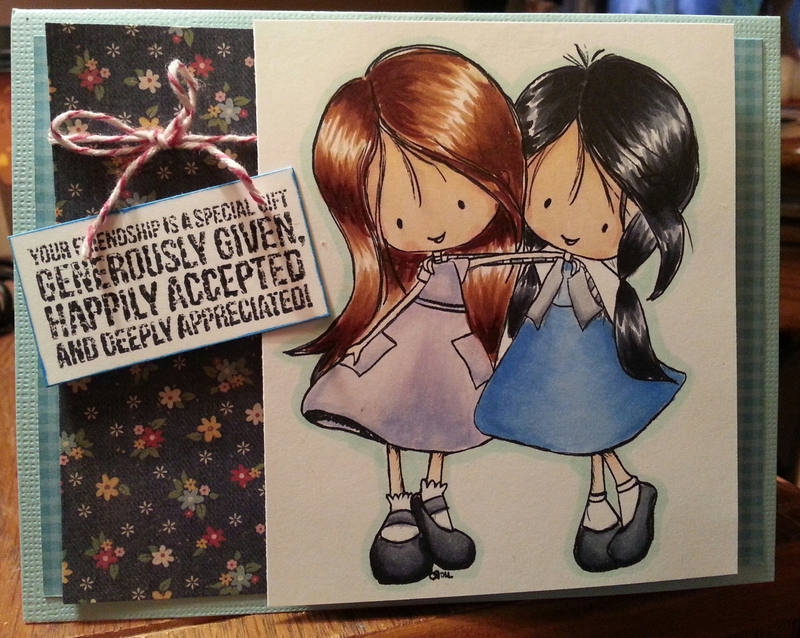 Sentiment stamp from Kaiser Craft “Best Friends” stamped with Memento Tuxedo Black ink pad.